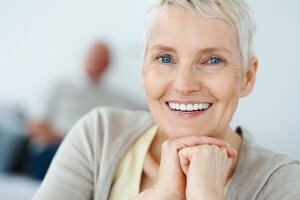 Immediate Load Dental Implants: Are They Right for You? When implant technology was first introduced, the protocol for placing dental implants was to place the implant and wait for a period of three to six months before making the crown or “loading” the implant. However, immediate load dental implants are one of the newest innovations in tooth replacement and provide patients an option to enter a dental office with missing teeth and leave with a complete smile including dental implants in the same day. Immediate load dental implants are a faster option than traditional implants, but they are not suitable for all patients. Patients must undergo a thorough exam by a qualified dental professional to determine if they are a viable candidate for immediate load implants. Qualifications for immediate load implants are similar to traditional dental implants and include good overall and dental health, lack of tobacco use, and sufficient bone to support the implant. A traditional implant procedure requires four to six months of healing time between placement of the titanium implant and placement of the crown. During those months, the bone fuses with the titanium implant to ensure stability. While the healing takes place, patients may have to go without teeth or wear a denture or dental bridge. With immediate load dental implants, patients do not have to endure multiple surgical procedures and extended healing times because the implants receive immediate placement following extraction. Immediate load dental implants work well for all types of patients but especially those missing teeth in the front of the mouth, missing all their teeth, or having implants in the entire lower jaw. The success of immediate load dental implants depends heavily on the patient’s oral health following the procedure and their commitment to eating a softer diet for the first three months while the implants fuse to the bone. Chewing hard foods too quickly following the placement of immediate load dental implants can lead to implant failure. For more information on dental implants, contact our office today. Contact Prestige Oral Surgery to schedule a consultation at 732-297-7000.